Mintek is all about: Experience. Research. Innovation. 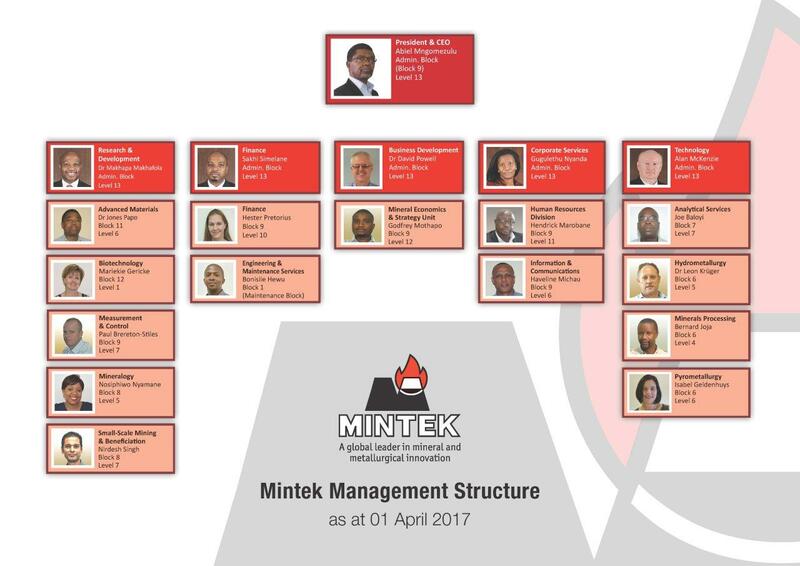 Human Resources – this unit delivers on the promise of attracting and retaining the highest calibre of staff in order for Mintec to continue to deliver high quality services to our clients. Divided into Pay & Benefits, Employee Relations, Organisational Development and Training and Development. Mintek offers competitive salaries benchmarked against industry norms.